In some situations the use of muzzle can be obligatory and advantageous. Let's find out when and why your Bulldog should be muzzled. The main reason for muzzling is to keep the dog from biting or causing injuries to people or other dogs. However muzzles also can be used to prevent picking up and eating things from the ground. Muzzles are also useful for injured dogs or dogs after operation that lick or bite their wounds. 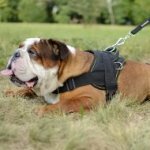 Muzzles should be used in a number of circumstances: walking your Bulldog in crowded places, transportation of your dog, during grooming or cutting nails, visiting vet, introducing another dog, puppy or other animal, some stages of dog training etc. Let's deal with different types of muzzles and their features. 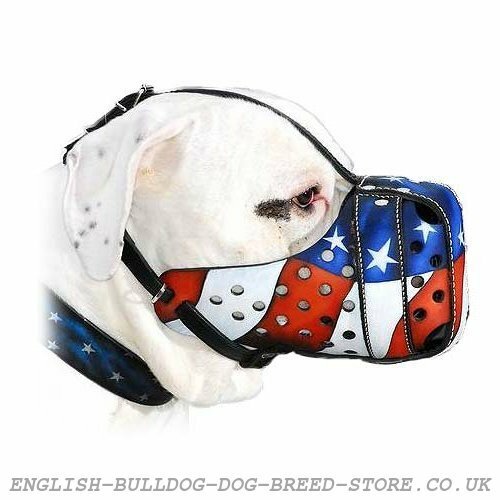 Bulldog muzzles come in variety of styles and materials. Each muzzle has its strong and weak points. There are two main types of dog muzzles: leather dog muzzles and wire basket dog muzzles. Leather dog muzzles. There are two basic types of leather dog muzzles: leather basket dog muzzles and mesh leather dog muzzles. Leather basket muzzle is made of relatively solid piece of leather with air holes punched into it. Such muzzle is made of strong and thick leather. As can be understood from its name, this muzzle type has the basket shape. This shape shouldn't bend or curve under any circumstances. Leather basket muzzle shouldn't fit dog tightly. Some space should remain between dog's snout and muzzle. Even if the muzzle is pushed, it mustn't touch dog's nose. 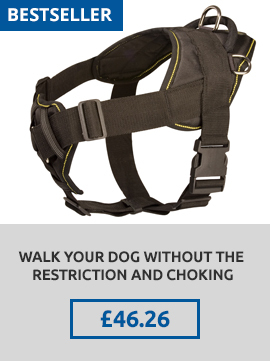 It is important that dog will be able to open his mouth to pant and breathe easily. 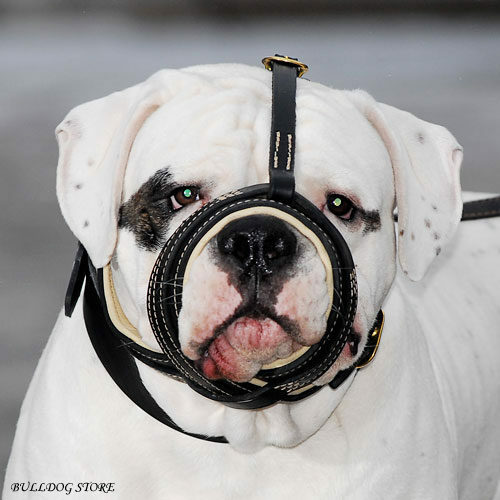 This leather muzzle is the best choice for Bulldog training or for aggressive Bulldogs. Advantages: entirely covers dog's mouth and nose, so there isn't any chance for Bulldog to bite. Disadvantages: despite holes for airflow this muzzle is too closed so it's not recommended to use it for a long period of time. In hot weather or during intensive training this muzzle can lead to heat stroke. This type of muzzle is also quite heavy. Leather mesh muzzle is made of thin leather stripes connected by rivets. 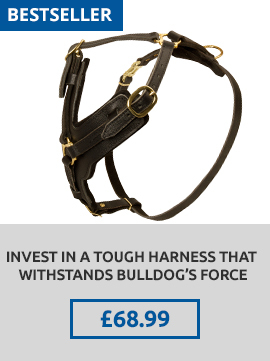 This type of muzzles shouldn't fit your English Bulldog too tight. Some space should remain. Mesh leather muzzles have also one additional strap that goes between dog's eyes that's why it is difficult for dog to remove the muzzle. 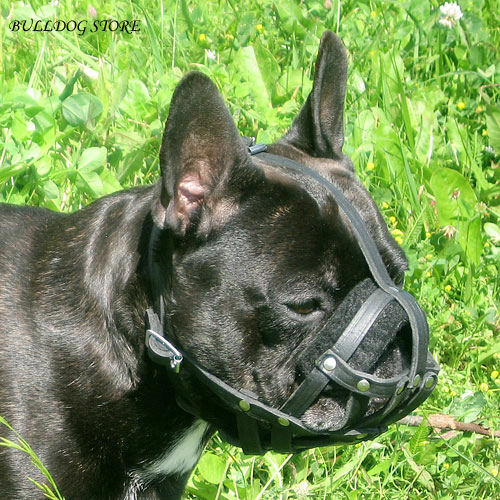 Mesh leather muzzle is the best option for quiet and calm dogs. 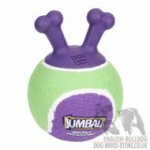 Advantages: perfect airflow and ventilation that allows dog to pant and breathe easily. 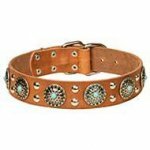 Mesh leather muzzles are light-weighted therefore your dog can wear it for a long time without discomfort. 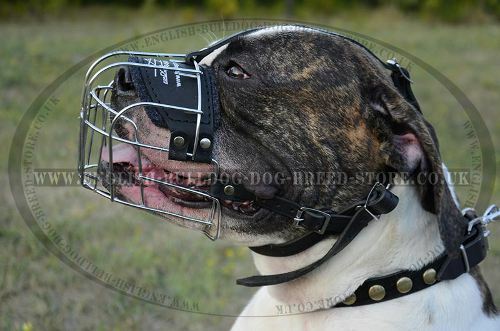 Disadvantages: mesh leather muzzles aren't as solid and strong as leather basket muzzles. Wire basket muzzle is made of metal wire cage. Such muzzle is strong and has the shape of basket that fits around your Bulldog's snout. This wire basket shouldn't bend or curve under any circumstances. Wire basket muzzle fits securely around the dog's head and neck with straps that are difficult for your dog to dislodge. Wire basket muzzle doesn't fit dog tightly. Some space remains between dog's snout and muzzle. Even if the muzzle is pushed, it mustn't touch dog's nose. Bulldog can open mouth, bark and pant, breathe easily and drink water. 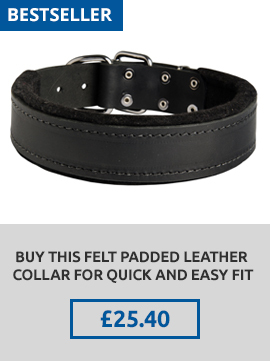 It is very comfortable for a dog to wear. Advantages: perfect airflow and ventilation. Disadvantages: it is not recommended to put this muzzle on in winter because wire can stick to dog's snout (however, there are models with wire covered by rubber that is safe even for cold weather). Wire basket muzzle is rather hard and can hurt another dog or person if the dog swings its head rapidly. 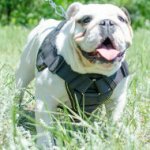 Does your Bulldog not want to wear a muzzle? 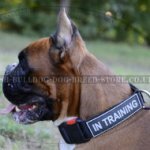 You are welcome to get acquainted with our articles, such as how to muzzle your Bulldog and ways of dog muzzling. We hope that this information will be helpful for you. 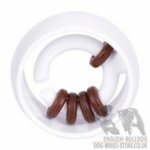 Choose the best muzzle for your Bulldog in our online dog shop!